James Barker Band perform a few songs and share their thoughts on being the next big thing in Canadian country music. Canadian country music is having a moment. Between acts like Jess Moskaluke, Brett Kissel, Whitney Rose and High Valley, it's fair to say that country music in Canada is on the rise — and the James Barker Band might be leading them all. It was only a couple of years ago when the James Barker Band sent an online audition to perform at the Boots and Hearts Country Music Festival. Cut to earlier this year, when they took home Country Album of the Year at the Juno Awards. Now, they're the most played country act in Canada. 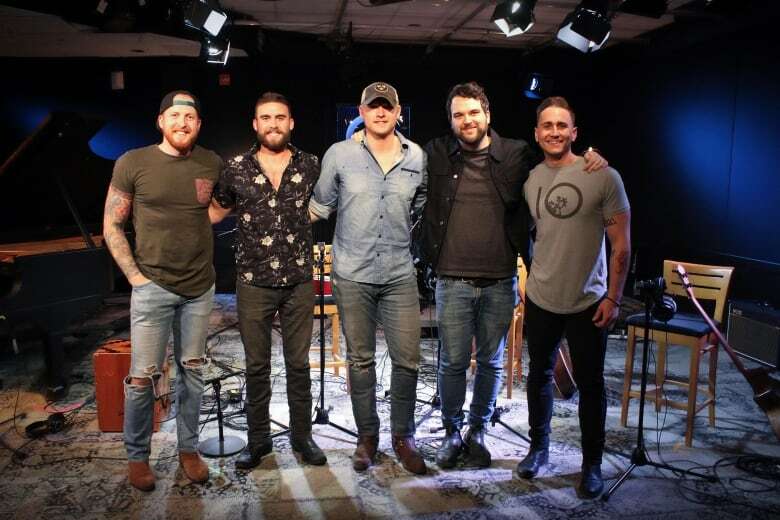 The four band members — James Barker, Taylor Abram, Connor Stephen and Bobby Martin — perform a couple of songs off their latest album, reflect on their rapid rise and share their thoughts on being the next big thing in Canadian country music. James Barker Band's new EP Game On is out now. Watch a special performance of their song Chills in the video above.